Latest IDBI Bank Recruitment Notification 2019 – Industrial Development Bank of India (IDBI) invites applications for the position of Specialist Cadre Officers. IDBI announced 120 vacancies for GM (Grade E), DGM (Grade D), AGM (Grade C) and Manager (Grade B). Candidates who have eligibility as per IDBI Bank notification may apply online at IDBI Bank careers. The last date for the submission of the online application form is 30.04.2019. Before apply for the vacancy, candidates should ensure that they fulfil the eligibility criteria given in the advertisement. Also be aware of job profile, job requirement, compensation, selection process and application process from the advertisement. IDBI will disable the online application link after the stipulated date and time. So, candidates should apply for the recruitment on or before the last date. Lower age limit varies from 25 years to 35 years. Upper age limit varies from 32 years to 45 years. Any Graduation/ B.E/ B.Tech/ MBA/ PGDB/ PGDBA/ CA/ CFA/ Post Graduation in relevant discipline. Look into IDBI Bank advertisement for more details of qualification. For SC/ ST candidates, ₹150/- (Intimation Charges Only). For other candidates, ₹700/- (Application Fee + Intimation Charges). Logon to IDBI Bank website and locate Careers>> Current Openings. 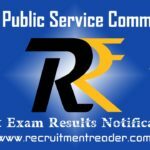 Find notification for recruitment of above said posts. Then find detailed advertisement and online application links. Complete the online application link and make fee payment successfully. Find upcoming IDBI Bank jobs notifications @ Recruitment Reader. 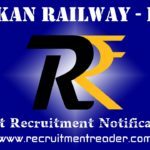 For more details regarding IDBI Bank Recruitment Notification 2019 logon to www.idbi.com. The information given above is based on the IDBI Bank official advertisement. 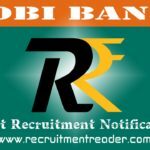 Latest IDBI Bank Recruitment Notification 2019 – Industrial Development Bank of India (IDBI) invites applications for the recruitment of Internal Ombudsman (Chief Customer Service Officer) on contract basis. Candidates who have eligibility as per IDBI Bank notification may forward their application through proper channel in prescribed format. The Application Form can be downloaded from IDBI Bank Careers (website). The last date for the submission of the application form is 02.05.2019. Retired or serving officer (DGM rank) of Bank/ Financial Sector Regulatory Body. Download the application format from IDBI Bank website. Send the completely filled application with required documents to The General Manager – Recruitment Section, Human Resources Department, IDBI Bank Ltd., IDBI Tower, 21st floor, WTC Complex, Cuffe Parade, Mumbai – 400 005 through Ordinary Post/ Courier Only. Find notification for above said post in Current Openings page. Then find detailed advertisement and application form. Fill up the application form completely and then attach necessary documents. For more details regarding IDBI Bank Recruitment Notification 2019 logon to www.idbi.com. The information given above is based on the IDBI Bank official advertisement. Industrial Development Bank of India (IDBI) invites applications for the recruitment of Executives and Assistant Manager. IDBI announced 800 vacancies for Executives and Assistant Managers. Among 800 vacancies, 300 vacancies are announced for Executives and 500 vacancies are announced for Assistant Manager. Candidates who have eligibility as per IDBI Bank notification may apply online at IDBI Bank careers. The last date for the submission of the online application form is 15.04.2019. Executive – Age limit is 20 years to 25 years. Assistant Manager – Age limit is 21 years to 28 years. Graduation from a recognized institute. For SC/ ST/ PWD candidates, ₹150/- (Intimation Charges Only). 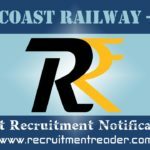 Find notification for recruitment of Executives and Assistant Manager. Industrial Development Bank of India (IDBI) invites applications for the recruitment of Head Treasury, Chief Technology Officer (CTO), Head Human Resources (HR), Head Data Analytics, Chief Compliance Officer (CCO) and Chief Risk Officer (CRO) on contract basis. Candidates who have eligibility as per IDBI Bank notification may forward their application through proper channel in prescribed format. The Application Form can be downloaded from IDBI Bank Careers (website). The last date for the submission of the application form for CCO & CRO is 12.04.2019. For other posts, the last date is April 08, 2019 (08.04.2019). Head Treasury & CRO – Upper age limit is 59 years. Other Posts – Upper age limit is 57 years. Engineering/ CA/ MBA/ PGDM/ CFA/ Any Degree. Download the application format from IDBI Bank website. Send the completely filled application with required documents to The General Manager, Human Resources Department, IDBI Bank Ltd., IDBI Tower, 21st floor, WTC Complex, Cuffe Parade, Mumbai – 400 005 through Ordinary Post/ Courier Only. Find notification for above said posts in Current Openings page. Then find detailed advertisement and application form separately. Industrial Development Bank of India (IDBI) invites applications for the recruitment of Chartered Accountant (CA). 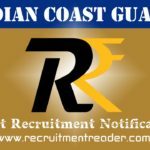 IDBI announced 40 vacancies for DGM (Grade D), AGM (Grade C) and Manager (Grade B). Candidates who have eligibility as per IDBI Bank notification may apply online at IDBI Bank careers. The last date for the submission of the online application form is 08.04.2019. DGM – Age limit is 35 years to 45 years. AGM – Age limit is 28 years to 36 years. Manager – Age limit is 25 years to 35 years. CA/ MBA/ ICWA/ CFA/ Graduation/ Post Graduation in relevant disciplines. Find notification for recruitment of Chartered Accountants 2019.